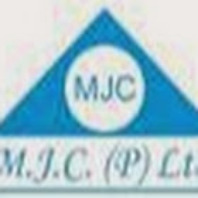 Responsible for Erection and Commissioning of Solar Power Projects at Site level. Responsible for Project Scheduling, Control and Monitoring. Will be responsible for getting the Project completed within Timelines, Cost and Quality Parameters. Responsible for Contract Management and Monitoring at Site Level. Responsible for Driving HSE&S Initiatives at Site level during Project Stage. Ensure Civil, Electrical and Other Necessary Jobs completed at Site within defined criteria’s. Will seek approvals from Govt. Agencies and Other Regulatory Authorities at Site Level for smooth execution and commissioning Of Project. Create checklists for Site Review or Inspection. Cross Functional Coordination with SCM, D&E,PD, F&A, HR and Other related deptts. Review specifications and Implement Approved Designs at Site / Project Level. Must be high on driving team to achieve Timely Completion Of Projects. Good Command and Control on Contractors. Must be technically sound on Projects – Project Monitoring and Control. On Completing One Project will move on to next Project location. If you are interested please email to (career.mjc@gmail.com) with your updated resume detailing your work experience and background.